The Theodore Roosevelt Association Police Award is given to an officer who has rendered outstanding and praiseworthy service to the department and the community despite a serious handicap, illness, or injury. Theodore Roosevelt overcame severe asthma as a youngster to lead a vigorous and productive life of public service. Among other posts, he served as President of the Board of Police Commissioners of New York City (1895-97) and President of the United States (1901-09). 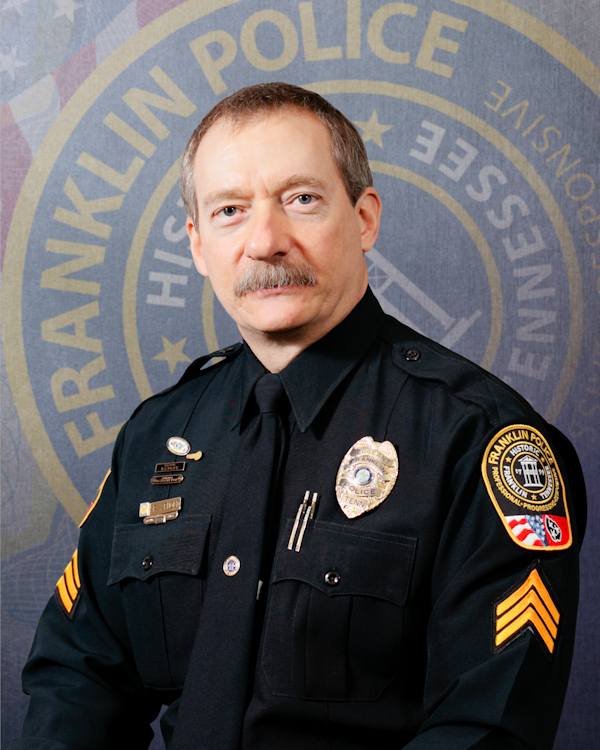 Sergeant Paul Arnold is a 26-year Franklin Police veteran. July of 2016 was a life-altering month for Sergeant Arnold, after getting the news that he has cancer. This, however, was not the first time Sergeant Arnold received this dreaded diagnosis – it was his third, and this time the cancer is more serious and more aggressive than before. While discussing treatment options, which have included brain surgery, radiation, and chemotherapy, Sergeant Arnold’s single demand of the doctors who are working to save his life is that none of the treatment he undergoes affects his ability to continue his work at the Franklin Police Department. The public is welcome and encouraged to attend this inaugural awards ceremony that celebrates the life, career, and resolve of one of Franklin’s finest. Vanderbilt Health provided generous support to make this ceremony possible, and the Vanderbilt-Ingram Cancer Center is managing Sergeant Arnold’s life-saving treatment.